This brand new Brixton based addition is an independently owned Vietnamese street food success story already. With is original big sister site in Peckham doing really well it was only a matter of time until the success story spread out further across the South London patch with the next stop being Brixton and thanks G for that! 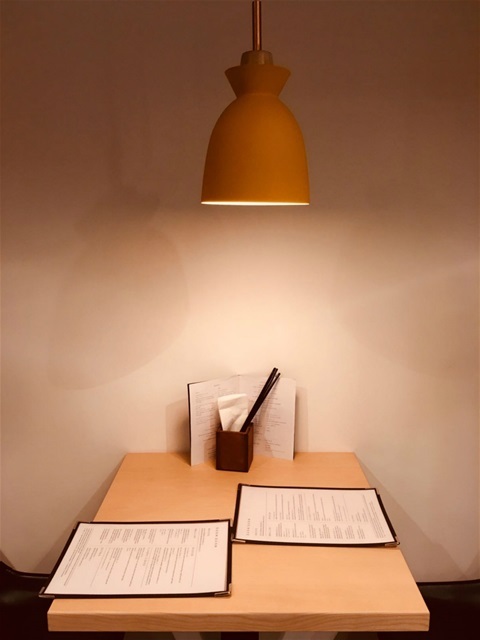 The menu is beautifully simple but by no means limited, packed full of delicious dishes that will have you wanting to try everything on offer (which is actually possible). The PHO (noodle soup) options were fantastic, really filling and overflowing with ingredients and flavour, the rice plate was perfect in both size and flavour (we had the amazing pork steak but there was also a choice of Chicken and Tofu) and the Papaya salad was as fresh and crispy as a winters morning but with a zest that would easily get you through a challenge. The décor is ideal, it’s minimalist and cool with blonde plywood tables and old school style chairs, simple pendant light fixtures, airy book cases and with a combination of larger sharing tables and small booth (for 2) there’s plenty of options to sit. Service was attentive and speedy and the staff were really lovely, helpful and no request was too much, sweet!